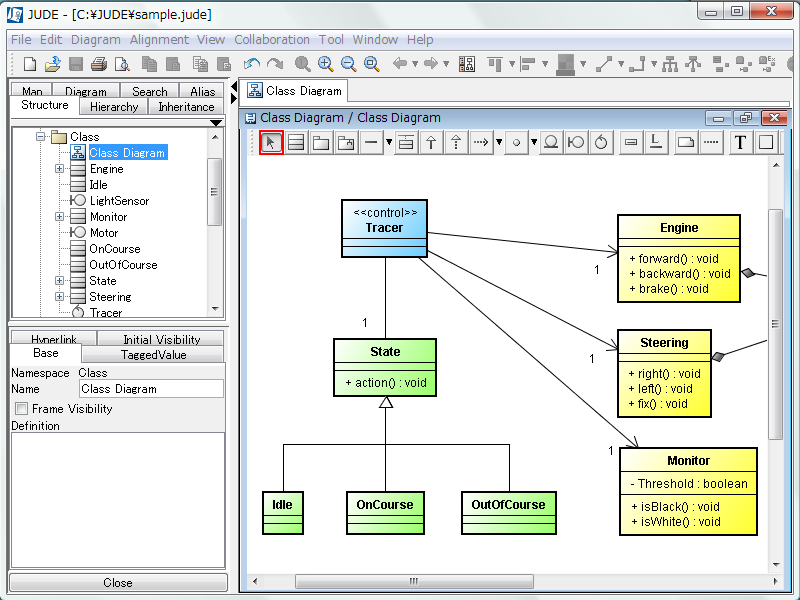 Output metrics of class diagrams, classes, attributes, operations, ER diagrams, ER entity and relationships in a JUDE project file. It calculates the number of models and average values. 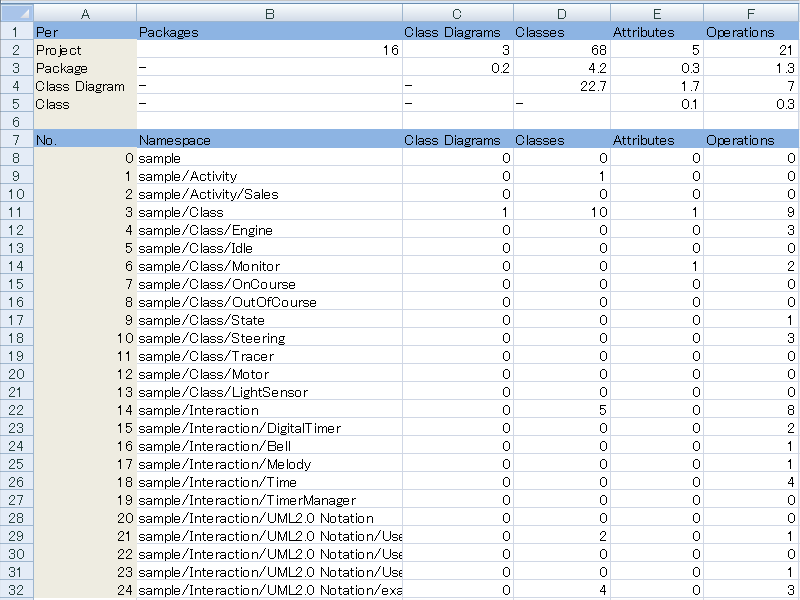 To run this sample application, use metrics_run.bat. Please specify a JUDE project file name as the first parameter, and a output file(.csv) as the second parameter. Conform with the system requirements of JUDE.